Welcome to Badger Training Center! 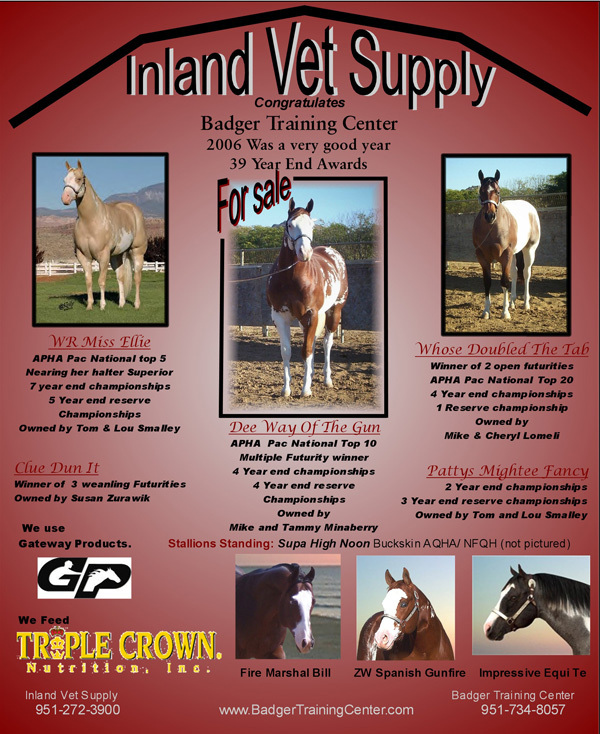 We are a full service Quarter and Paint horse training facility located in southern California, and coming soon to southern Utah. We offer Stallion Management, Marketing, Pre-Purchase Advisement, Conditioning and Lay-Ups. We also offer training in a variety of disciplines including halter, western performance, roping, trail and general use. We provide the very best for all horses in our care! Quality horses are available for purchase at all times.